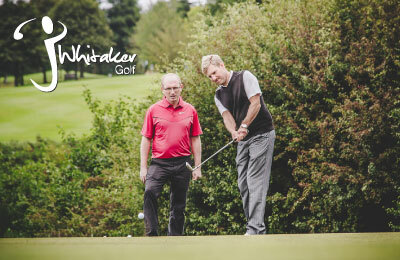 JWhitaker Golf is an innovative team of PGA Golf Professionals and Golf specialists working from the prestigious venue of Moor Allerton Golf Club in Leeds, West Yorkshire. Under the leadership of Head PGA Professional James Whitaker, JWhitaker Golf is a multi-channel golf business; compromising instore and online golf retail, tuition and custom fitting, with expert industry knowledge and outstanding customer service. Every element of JWhitaker golf encapsulates our core belief in the combination of specialist knowledge, cutting edge technology and modern style. Having first opened a retail outlet at Moor Allerton Golf Club in 2010, JWhitaker Golf is fast becoming one of the most talked about establishments in the country due to its outstanding facilities, product knowledge, and customer service. JWhitaker Golf offers the best experience in golf retail, whilst the state of the art JWhitaker Performance Centre, fully equipped with TrackMan technology, provides one of the best tuition and custom fitting facilities in the UK.